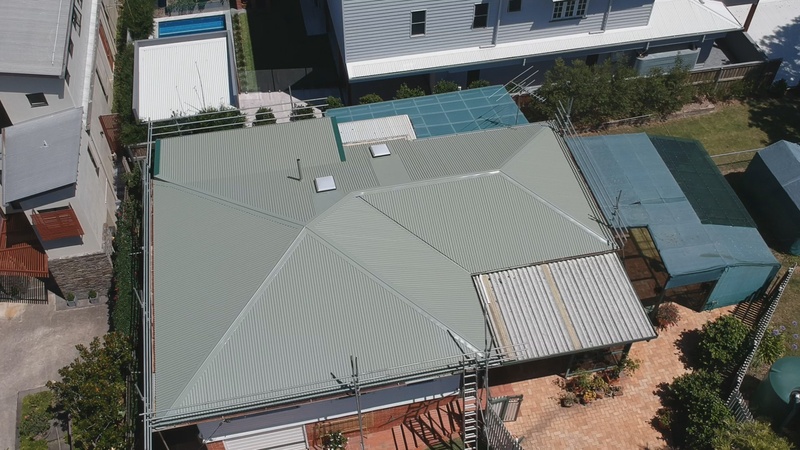 Metal Roofing replacement in The Beautiful Suburb of Red Hill, The home Of the Majestic Jubilee Catholic Church. 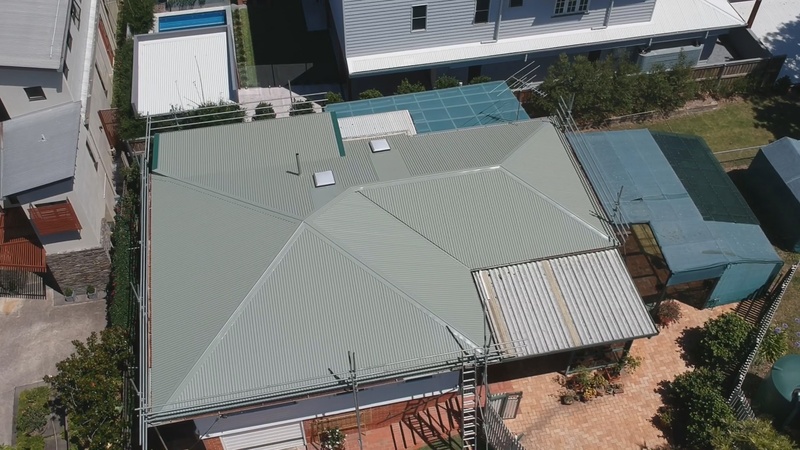 The Owners contacted us as they where taking on a renovation project and wanted to restore this property to its Former Glory with new, metal roofing . 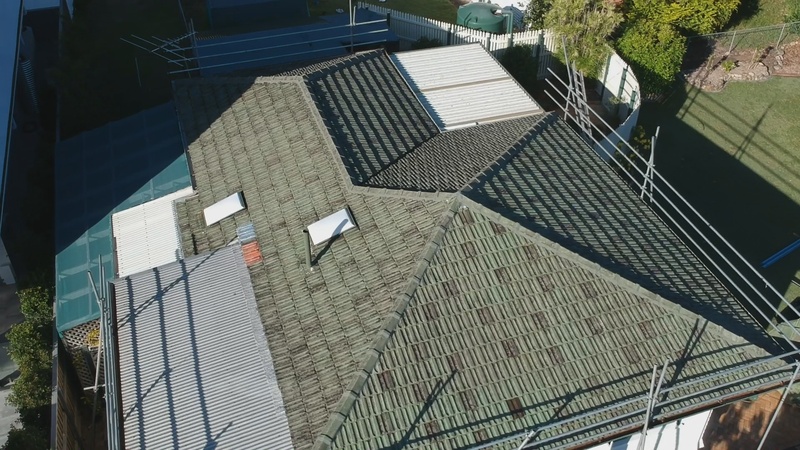 We where happy to take on this project as Roof Restoration is our Forte. It is what we excel at. 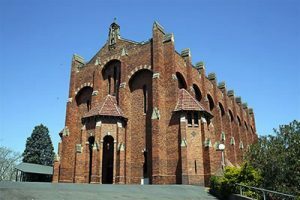 Our Team has Completed multiple heritage listed properties in the Brisbane region. Over the 40 years we have been replacing Metal Roofs in Brisbane. 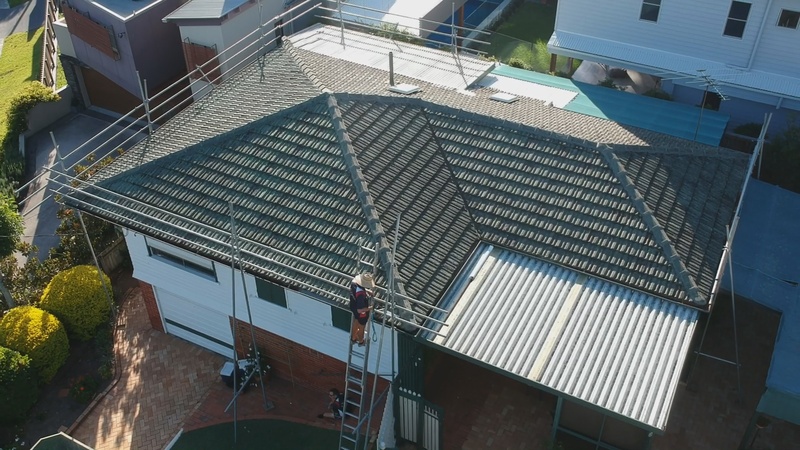 The Clients wanted to freshen things up with a new Surf Mist Colorbond Roof. Surfmist® embodies qualities of freshness, purity timelessness and independence. Snow, the mist from the sea and the surfs, pure white sand, and the billowing sails of yachts all remind us of this colour. 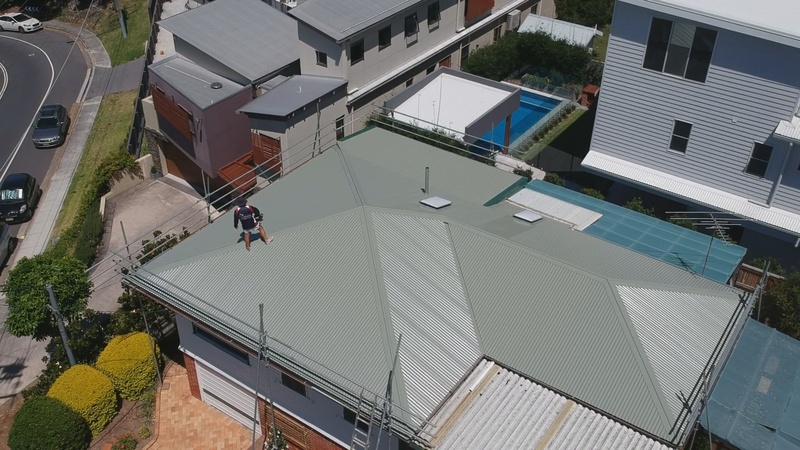 We also we installed .55 mm anticon blanket to avoid the extreme heat that Queensland is known for during it’s summer months especially being an older property. 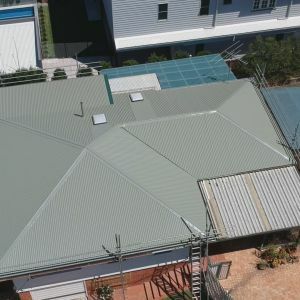 When doing a Metal Roofing project be aware that all companies are not the same! 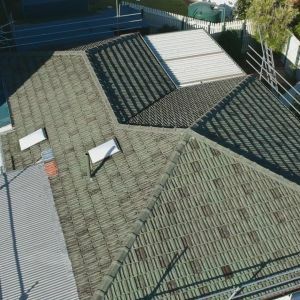 We specialize in this type of work as it is an art form to restore a property to its former self and takes a certain care and detail as compared to new roof construction. 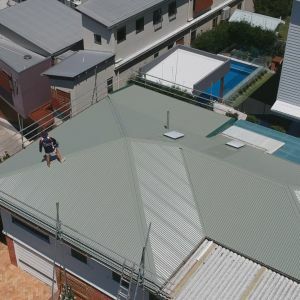 Ozroofworks Follows all relevant safety laws in regards to installation of scaffolding and try to protect our workers as well as possible we also follow Australian building code. Make sure your new roof is up to current building code with the installation of new batten screws. 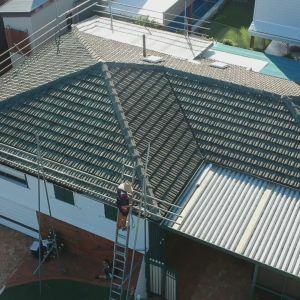 Installation of new battens where old battens are showing signs of rot and tie downs installed to secure your roof for the next big summer storm. 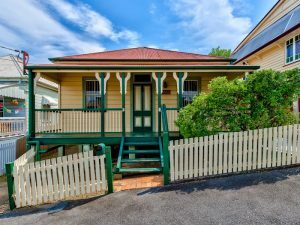 Making You have Confidents & peace of mind that your biggest investment is protected your home.